Yankee Pride's Fall 2015 Mystery Quilt, "Winter Stars" is a lovely three-color quilt that would look fabulous in your home! Straightforward instructions, along with a little time and patience, pay off in a big way when you finish this quilt! 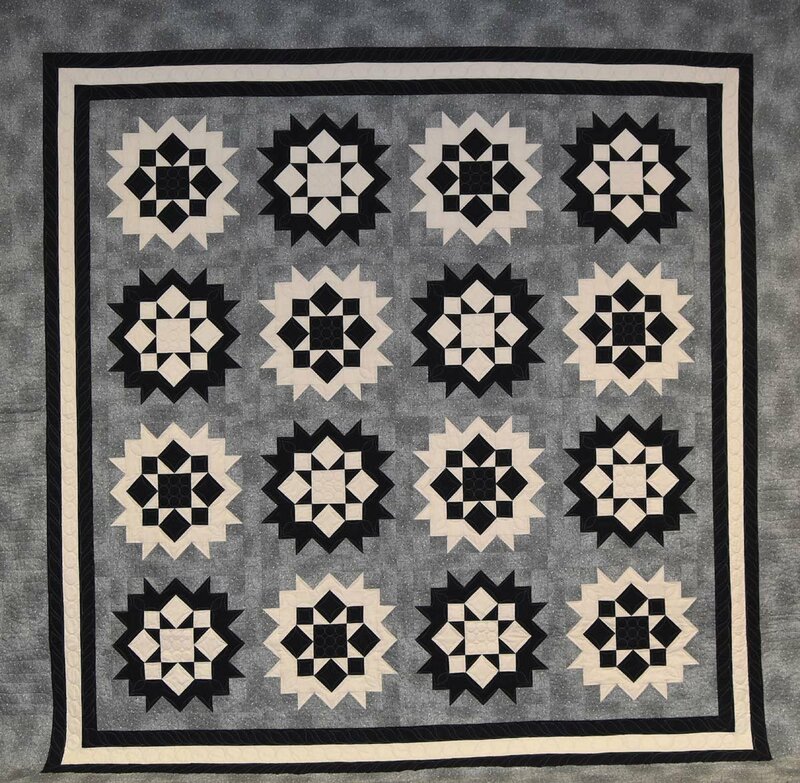 "Winter Stars" is Yankee Pride's Fall 2015 Mystery Quilt. It's a classic star pattern, with the lattice the same color as the background, making for a striking quilt! As usual, our instructions provide the ability to make this quilt in three sizes: Wall, Throw, and Queen. Judy also used two of her favorite Studio 180 rulers to make this quilt. Fabric selection is important for this pattern, and Judy gives you guidance to choosing fabrics and colors with good contrast. Click here for yardage requirements and fabric selection. And go to our Fall 2015 Mystery Quilt Gallery to see what our students' quilts looked like!